ブラッドソード [blood sword] in Japanese. 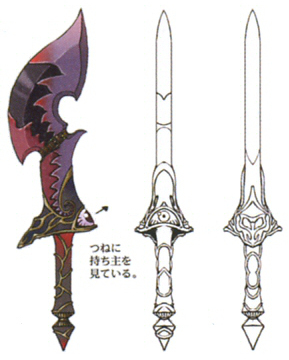 Description: The blade of this sword is a deep crimson, as if it were drenched in blood. It is cruelly sharp. Description: This sword absorbs the life force of foes. Perfect for those with vampire envy.